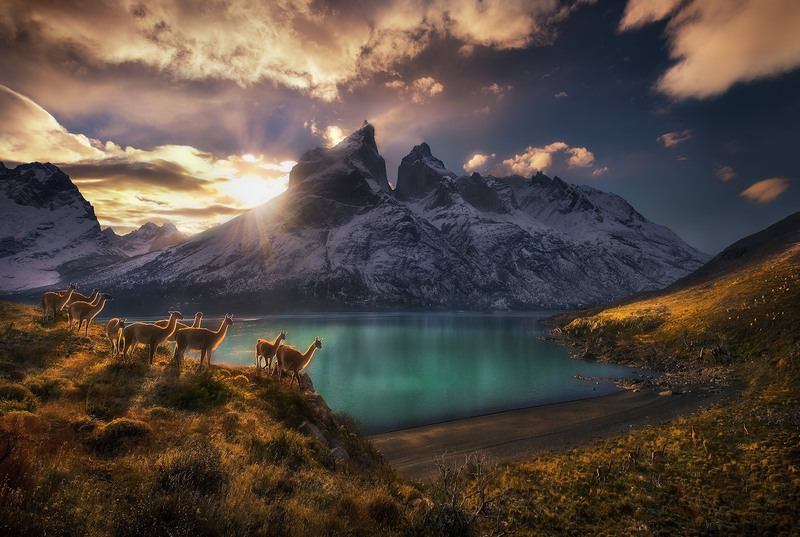 Guanacos standing in the late afternoon light in front of some of the world's most impressive peaks. Dozens more of the animals are pictured lower and right side of this image when viewed larger. Photo © copyright by Marc Adamus.